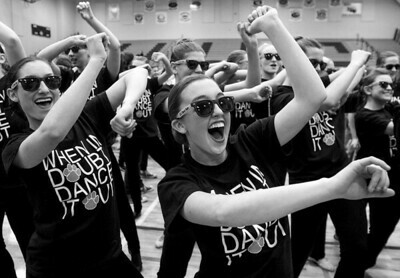 Sarah Nader- snader@shawmedia.com Crystal Lake Central's Lauren Gleason, 17, dances with her teammates while waiting for the judges to tally up their scores during the FVC Competitive Dance meet at Huntley High School Wednesday, January 14, 2015. Sarah Nader- snader@shawmedia.com McHenry's Jackie Wiser, 15, competes with her team during the FVC Competitive Dance meet at Huntley High School Wednesday, January 14, 2015. McHenry finished in fifth place. 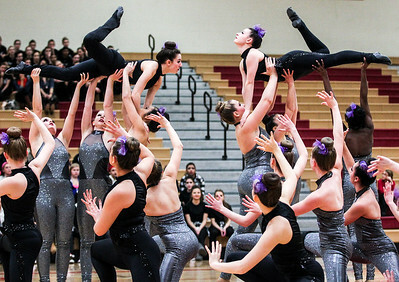 Sarah Nader- snader@shawmedia.com McHenry's Jackie Wiser (center), 15, competes with her team during the FVC Competitive Dance meet at Huntley High School Wednesday, January 14, 2015. McHenry finished in fifth place. 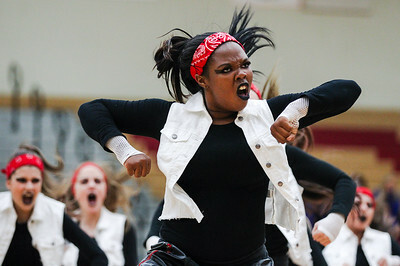 Sarah Nader- snader@shawmedia.com Huntley's Kayla Hyatt, 17, competes with her team during the FVC Competitive Dance meet at Huntley High School Wednesday, January 14, 2015. Huntley finished in third place. 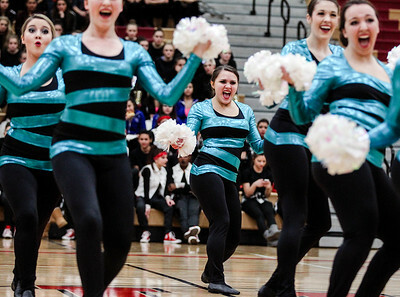 Sarah Nader- snader@shawmedia.com Crystal Lake South competes during the FVC Competitive Dance meet at Huntley High School Wednesday, January 14, 2015. South finished in fourth place. Sarah Nader- snader@shawmedia.com Jacobs' Emily Buirge competes with her team during the FVC Competitive Dance meet at Huntley High School Wednesday, January 14, 2015. Jacobs finished in first place. 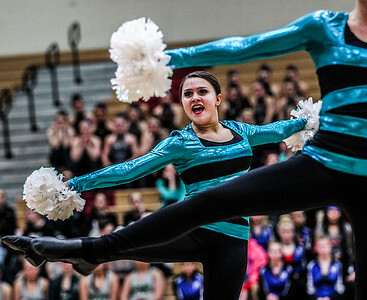 Sarah Nader- snader@shawmedia.com Crystal Lake South's Breana Youngs, 14, competes with her team during the FVC Competitive Dance meet at Huntley High School Wednesday, January 14, 2015. South finished in fourth place. 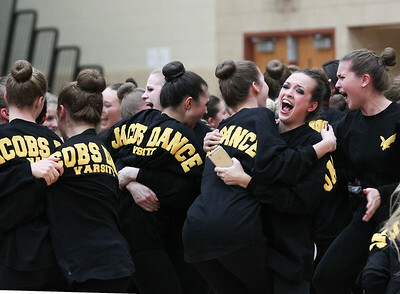 Sarah Nader- snader@shawmedia.com Jacobs dancers celebrates after receiving first place at the FVC Competitive Dance meet at Huntley High School Wednesday, January 14, 2015. 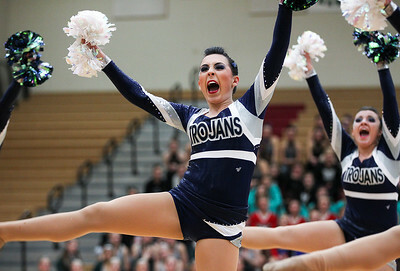 Sarah Nader- snader@shawmedia.com Cary-Grove's Jaclyn Walters, 17, competes with her team during the FVC Competitive Dance meet at Huntley High School Wednesday, January 14, 2015. Cary-Grove finished in second place. McHenry's Jackie Wiser, 15, competes with her team during the FVC Competitive Dance meet at Huntley High School Wednesday, January 14, 2015. McHenry finished in fifth place.